Most body transformation programs place a lot of emphasis on weight loss as their top priority. In and of itself, however, weight loss does not guarantee fat loss. That’s why the body weight readings on your bathroom scales is not an accurate indicator of your fat loss progress. To discover how much actually stored body fat you’re losing, you must keep track of your body fat percentage instead. And if you use quality body fat scales, this task may not be as daunting as it sounds. What exactly are body fat scales and how can you choose the quality ones? Do you want to know which Body Fat Scale took home the #1 pick? Body Fat Scales: What Exactly Are They? 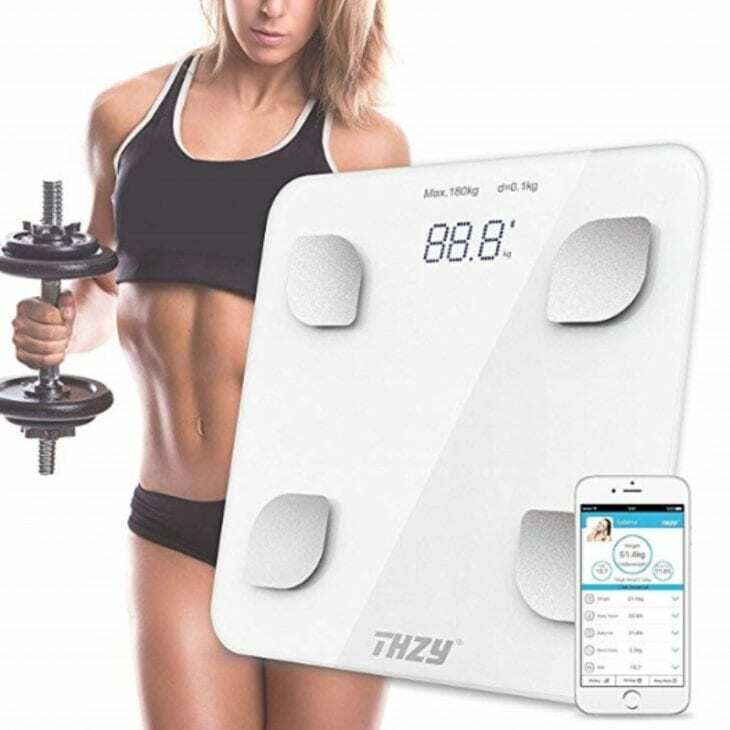 Body fat scales is a device for measuring body fat percentage. By employing the method of bioelectrical impedance analysis (BIA), body fat scales can estimate your body composition with decent precision. They do so by sending minor electrical currents through your body and then interpreting the output data through special equations. Since every tissue has its own water count, the electrical currents travel through body fat at their own distinct speed. This allows body fat scales to assess how much stored fat is part of your total body weight. Body fat scales do so with at least 95% accuracy. Manufacturer – At the minimum, the manufacturer must be well-known, have a reputation to lose, and make an effort to get FDA approval. 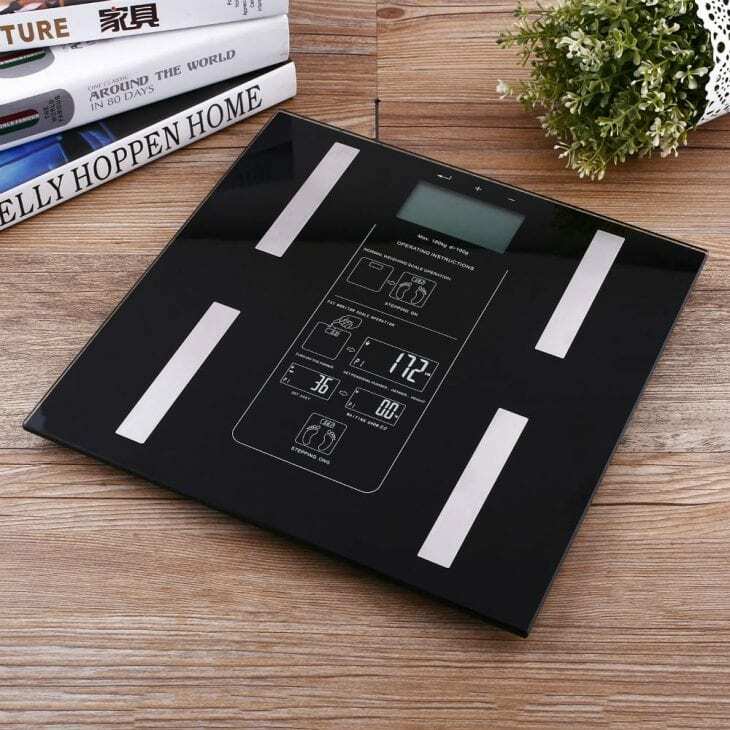 Ideally, you want your body fat scales to have lots of positive customer reviews and undergo testing in independent labs. Metrics – Most models of body fat scales today can estimate more than just your body fat percentage. Many of them also measure body mass index (BMI), muscle mass, bone mass, and even water weight. Such metrics can be helpful. For instance, the muscle mass metrics can help you notice if you’re losing any muscle tissue. And the water weight metrics can show you whether you hydrate well and if your sodium intake is in check. Usability – Some body fat scales contain so many features that they become hard and complicated to use. Going for the models that cut to the chase and offer a simple interface can save you a major headache. At the same time, online and app synchronization feature in some body fat scales may further improve your experience. Such models allow you to keep track of your body transformation and fitness efforts much easier. Precision – The fancier the body fat scales get, the less accurate they may become. Pay close attention to every model specification and strive to choose functionality over all the bells and whistles. Taking the above criteria into consideration will help you pick the body fat scales that work. And turn them into an essential part of your body transformation journey. Women, should you be following the M-Plan diet?